(1) How do we access crystal reports in .NET? 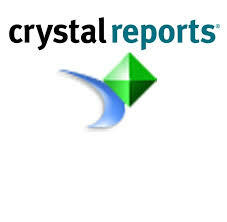 (2) What are the various components in crystal reports? (3) What basic steps are needed to display a simple report in crystal? (4) Can crystal reports be published as a web service? (5) How do we invoke the crystal report web service? (6) How do we add formulas using crystal reports? (7) How do we pass parameters to crystal reports? (8) How do we export from crystal reports? (9) How do we print to printer using crystal? (10) How do we generate cross tab reports? (11) How can we do grouping in crystal? (12) Can you explain three-pass reporting which crystal report uses? (13) Can you explain reporting services architecture? (14) We have two IIS application ‘Reports’ and ‘Reportserver’ what do they do ? (15) Can you explain Report definition language (RDL) file in reporting services? (16) What is the basic process of making a report in reporting services? (17) How can we consume reports in ASP.NET? (18) Can you explain the difference between private and shared data sources? (19) How does reports caching in reporting services work ? (20) What are the major differences between Crystal and SQL reporting services?